What can you do before your children walk out the door to help them feel they can conquer anything? Feed their mind, body and soul each and every morning. 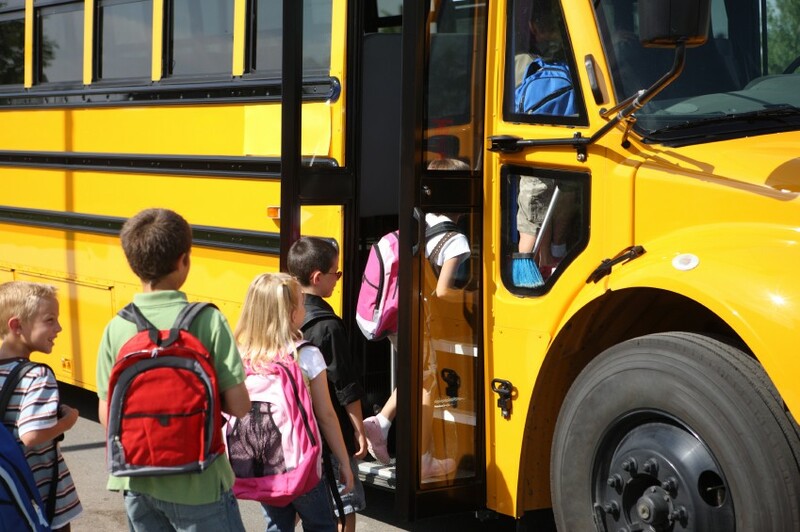 By making a few simple changes before the bus arrives, you can have a big impact on how your children handle events at school. These no-nonsense pointers will help you remove a large portion of the last-minute stress that comes with every weekday morning. Do your children lag behind in the morning because they can't find matching socks or their homework? Start preparing the night before. Lay out clothing (including socks and shoes), sign all papers, pack lunches, and put everything by the door. This may sound simple but it really does cut down on morning stress and anxiety. If your child takes medication, use a pill organizer so you know if the child has already taken the morning meds. A hectic morning could result in double-dosing. Avoid this at all costs. A good night's sleep can never be underestimated. Parents, this goes for you too. Lack of sleep causes health problems, job performance problems and stress at home. Be firm. Set a reasonable bedtime and then let your children EARN a later bedtime based on their daily performance. For example, base bedtime could be 9:00 p.m. If the child does well that day at school and at home (no bad reports, no time outs) then they can extend to 9:30 as a reward. They may go from complaining about 9:00 p.m. to actually APPRECIATING 9:30 as an alternative. Learn to embrace the morning. Wake up 15 minutes early and make yourself some coffee or tea. Sit on the porch in the morning air and breathe in the fresh air. A slow start will give you more patience to deal with unexpected events that come your way. If your kids are still young (like mine) you can use a a little more creativity. There was a time when getting my kids up was like awakening a couple of beasts in a cave. They'd whine "No, I'm tired" or "I just went to sleep" or "I hate morning!" -- and the list goes on. One day, I thought I'd add a little spice to morning. I was going to let them control the process. My children LOVE music so I cranked up the stereo. Within five minutes they were all up and singing along. This was a miracle! Now, we do the same ritual every morning. Loud music CAN be good for the soul. When my kids were younger, I sang to them until they woke up. "Rise and shine lazy, sleepy head. Get your lazy bones out of the bed!" I picked a goofy song from my own childhood (Patch the Pirate) that they would surely smile about. Even kids need time to adjust to a new day. Don't wake them up with only 15 minutes to spare! This is a recipe for disaster. As parent, we usually make some time for ourselves - even during our drive to work. Remember: Kids need time to prepare for the day, too. Use the extra time you saved by preparing ahead to talk to your children before they leave for school. Ask what they will be doing at school that day, or if any tests are coming up. Get to know their schedule and their morning rituals. This will help to keep the channels of communication open between you. Laughter is something we all can indulge in -- and it doesn't cost us a thing. Tell your children something funny before they leave for school. Even if it is something silly like reading the comics on the cereal box, in the paper, or telling them something that happened to you on the previous day - - let them know that you can laugh. Remember: garbage in = garbage out. Breakfast is the most important meal of your day. Don't skimp or skip. Your child needs nutrients in order to learn. Make a hot breakfast. Read the ingredients on cereal boxes and make healthy choices. Make sure that something of value to your child's health is contained in your breakfast choices. As your children get older, they may be less affectionate and “touchy-feely.” Don't let that stop you! Never let your child leave your home without some type of physical interaction with you. Hug your child for a few seconds longer each morning. Tell your child that you love them. A hand on the shoulder, a high-five, a kiss and smile - - use whatever works for you and your child. Make that important contact. You never know what the school day will bring. Jackie D. Igafo-Te'o and Deborah K. Canja founded Bridges4Kids in 2002. They realized the need for a comprehensive system of support on the web for ALL children. "We know first-hand the struggles that parents face. We've been there." In addition to her work as Webmaster and Director of Information Technology & Information Systems for Bridges4Kids, Jackie has served as Parent Representative for Early On Jackson County and volunteers as webmaster for the DD Council's Family Support Workgroup, disAbility Connections of Jackson, The Autism Society of Michigan, The Learning Disabilities Association of Michigan, The Michigan Positive Behavior Support Network, and The Michigan Lead Safe Partnership. Jackie also maintains web sites for other organizations including Early Childhood Michigan, Detroit Parent Network, and the Wrightslaw Yellow Pages for Kids with Disabilities. Jackie lives in Michigan with her husband (a soldier in the Michigan Army National Guard) and their three children. Their oldest child is a star math pupil who happens to have ADHD. He wrote a book about his life and how he deals with ADHD. Their second child is an artist. He was diagnosed with Autism at the age of 3, Impulse Control Disorder at age 9, and bipolar disorder at age 11. Their youngest child is doing well in school. Being the sibling of two children with disabilities is difficult and rewarding. She wrote a book, My Brother Has Autism (with some help from her mom), to express her feelings about being a sibling. Her book was illustrated by her brother who has Autism. Bridges4Kids provides parents, educators, and others the information they need to help children who might be at-risk or have special needs.